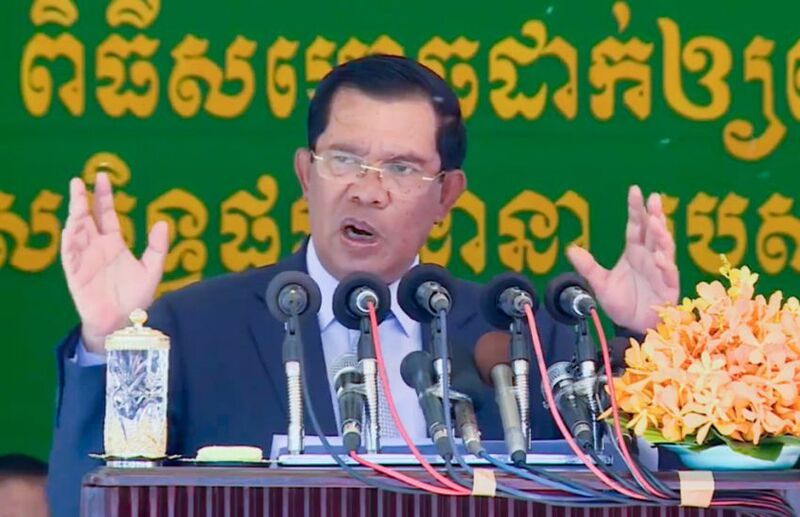 Prime Minister Hun Sen yesterday called for calm in the wake of the slaying of political analyst Kem Ley, though appeared to cast aspersions in the direction of the opposition party by asking “who benefited” from a crime that made the government look bad. Speaking to a gathering of military police, the premier again condemned Sunday’s shooting of the prominent government critic and called for authorities to find and punish the perpetrators or “conspiracy” behind the murder, while also announcing the government would begin a “campaign” to clamp down on crime and increase security. While 44-year-old suspect Eout Ang claimed he shot Ley over a debt in a confession video uploaded just hours after the crime, many were quick to label the slaying political, among them opposition leader Sam Rainsy, who flatly accused the state of involvement, while noting past assassinations of government critics. Yesterday, Hun Sen also discussed the possibility of a political motive behind the killing, though not the government’s. “This is a huge loss and impacts the government’s image. Who gains to benefit from such a case which happened at the same time the government is talking about peace and safety for the people? . . . This point seems to be a mockery of us,” Hun Sen said. “On the one hand, the government suffers a huge impact for the image created of a lack of so-called competence in providing security, and on the other hand, the issue has immediately been painted a colour [suggesting] political characteristics. 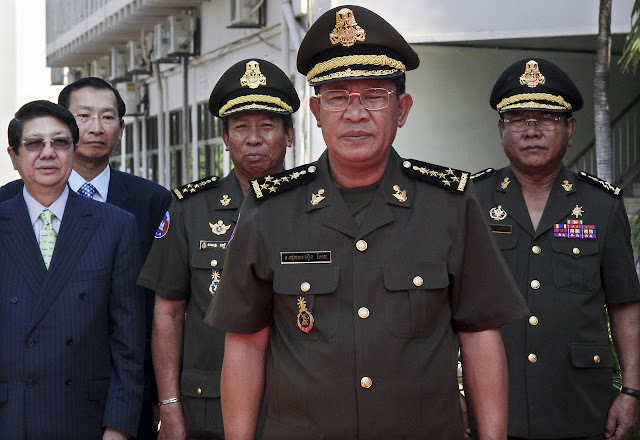 Responding yesterday via email, Cambodia National Rescue Party president Sam Rainsy said Hun Sen was adding “insult to injury and death” and had gone beyond “any possible limit on indecency”. After again reiterating his accusation of government involvement, he also added that Kem Ley had actually been helping the CNRP with policy development and consulting, which he alleged “might have contributed to his murder”. Manipulation, intimidation, threatening, and killing have always been the tactics of choice for the communists and/or the dictators, no matter what clothing they wear. Here we have a dictator who has been a communist all his life. Sorry, the killing of Dr. Kem Ley and other activists have the names of Sen's clan written all over. Having a leader with a communist mentality is bad, but at least most communist leaders are patriotic. Cambodia is double damned by having a communist and a traitor as the PM. So sad!